Today, many Christians believe in a place of eternal torment where sinners are sent after death, commonly referred to as “Hell” in English. This belief is extremely mainstream and forms part of the basic perception of the religion in popular culture. Which is strange, because some say the evidence for eternal punishment as an integral part of the Christian religion is virtually nonexistent. See what you think! John 3:36 strikes roughly the same note, declaring that sinners “will not see [eternal] life.” Meanwhile, Jude 1:7 does mention “eternal fire,” but only in the context of Sodom and Gomorrah, which are literally destroyed by the eternal fire of God’s wrath. That leaves brief mentions in the Book of Revelation and two of Christ’s parables as the Biblical basis for the fiery Hell of popular imagination (more on those verses later). But if a place of eternal torment was truly intended as an integral component of Christianity, surely it’s strange that the Bible never seems to pay much attention to it? From a Christian perspective, the idea of Hell is not only cruel and unusual, but totally excessive. Would a God described in the Bible as “a God of truth and without iniquity, just and right” decide that infinite punishment is just and fair? 1 John 4:8 states that God is the very concept of love. Would a loving father eternally torture his child as punishment, even if the child did something seriously wrong? Deuteronomy 19:21 famously states “an eye for an eye,” a principal of equal punishment that seems rather out of sync with the idea of literally endless torment as retribution for the sins of a short mortal life. In fact, the fiery Hell of popular imagination seems even harsher after considering God’s words in Jeremiah 7:31: “They have built the high places of Topheth in the Valley of Ben Hinnom to burn their sons and daughters in the fire—something I did not command, nor did it enter my mind.” If the idea of humans being burned in fire is so unappealing to God that it never even came into His thoughts, then what’s His deal with Hell? 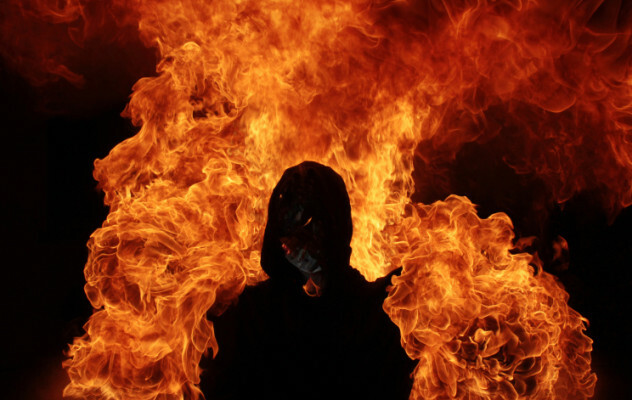 When it comes to misconceptions about Hell, the popular 17th-century King James Version (KJV) of the Bible has a lot to answer for. For example, in the KJV, the prophet Jonah was in the “belly of Hell,” while David bafflingly insists that God would be with him even in Hell. Even Jesus pops down to Hell after his death on the cross. This obviously makes no sense. The Bible repeatedly states that Hell, whatever else it is, involves separation from God. So why is Jesus swinging by for a visit and why is David so sure that God would be with him there? In fact, if God is with David, why would he be in Hell in the first place? 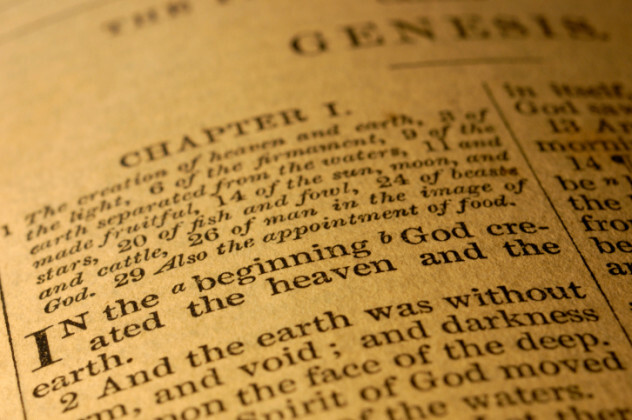 The answer is that the KJV lumps a whole bunch of different Greek and Hebrew words together under the English term “Hell.” The words in question are Hades, Sheol, Tartarus, and Gehenna, and they can have very different meanings in their original context. That’s particularly important to Hades and Sheol, which are roughly equivalent words in Greek and Hebrew. Neither can reasonably be translated as “place of torment,” which is what the word “Hell” now generally implies. A better translation might be “the grave” or “the afterlife.” Neither term carries a value judgment in the way that “Hell” does—only the wicked go to Hell, but all souls are in Sheol after death. So David’s weird KJV claim that God would be with him in “Hell” is better translated as “the afterlife” or even “the depths.” While the KJV references Jesus being in Hell after his death on the cross, the New International Version makes a much less dramatic reference to him being in his “grave.” In fact, the New International Version only refers to Hell 15 times, compared to a whopping 54 mentions in the KJV. So if “Hades” and “Sheol” don’t match the modern perception of Hell, that leaves “Gehenna.” (“Tartarus” is also sometimes translated as “Hell,” but the term only appears once in the Bible, and not in relation to humans, so it has limited relevance here.) 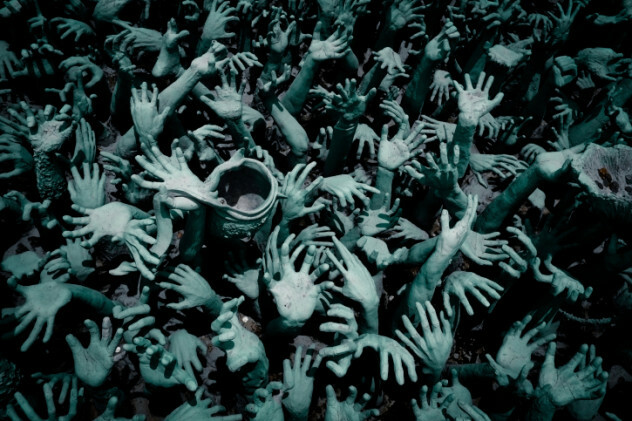 “Gehenna” is certainly the Biblical term most often rendered “Hell” in English. For example, the New International Version of Matthew 5:30 states: “If your right hand causes you to stumble, cut it off and throw it away. It is better for you to lose one part of your body than for your whole body to go into Hell.” Scary, right? It all comes down to the controversy over the exact meaning of “Gehenna.” The word itself is a Greek rendering of the Hebrew terms ge-hinnom and ge-ben-hinnom, which mean “valley of the sons of Hinnom” and refer to an actual valley just outside ancient Jerusalem. The valley first appears in the Old Testament as the location of fiery pagan child sacrifices, which continue at least until 2 Kings 23:10, which describes how Josiah ravaged the site so “that no man might make his son or his daughter to pass through the fire to Moloch.” By the time of Jesus, the term was apparently used metaphorically to refer to a place of fiery destruction, and Jesus uses it 11 times in this context. It’s interesting to note that Hebrew had no word for such a concept and Jesus apparently felt no need to introduce one, preferring to make historical allusions instead. Or maybe not. According to some scholars, the valley of Gehenna had essentially become Jerusalem’s incinerator by the time of Christ. It featured constantly burning fires, which consumed the city’s garbage and the bodies of criminals and the disgraced. This tradition is quite old, but not supported by any real evidence or ancient accounts, although it is strange that Jesus refers to bodies being destroyed in Gehenna as well as souls. In any case, none of Christ’s references to Gehenna suggest any kind of eternal torment. Certainly, the fires of Gehenna are described as eternal, but Jesus specifically warns that they will be used to “destroy both soul and body.” Removing unrighteous people from existence, as that verse suggests, doesn’t sound particularly like torturing them forever. The second meaning can only be inferred by readers who already have that concept of Hell. 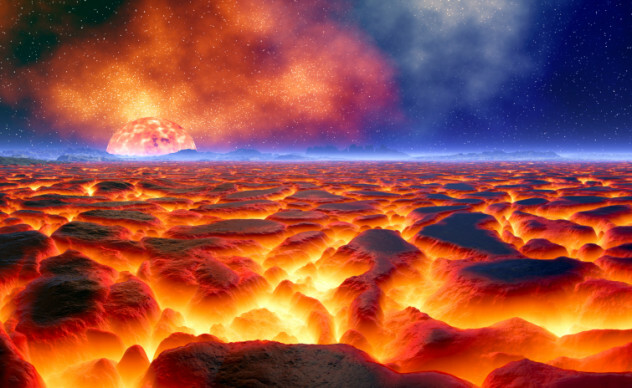 So is the idea of a fiery Hell completely alien to the Bible? Not at all. It’s right there in the Parable of the Rich Man and Lazarus, as recorded in Luke 16:19-31. In the story, a wealthy man lives it up while ignoring a beggar named Lazarus. But the pair experience a dramatic role reversal after their deaths, when Lazarus is carried off by angels to a blissful existence in the bosom of Abraham, while the rich man finds himself tormented in a blazing fire. The rich man begs Lazarus to take pity on him and bring him some water, but Abraham points out that the rich man had a great life and never took pity on Lazarus. Abraham also refuses to resurrect Lazarus to warn the rich man’s family to change their ways, arguing that they can choose to follow the prophets or not, but witnessing a miracle won’t suddenly make them good people. This is probably the closest the Bible gets to the modern conception of Hell. However, it’s important to note that the Bible doesn’t present it as a true story or a straightforward warning about the afterlife. Christ’s parables are clearly fictional stories designed to convey a message. As Warren Prestidge points out, the Rich Man and Lazarus is immediately preceded by the Parable of the Unjust Steward, where a servant defrauds his master and gets rewarded for it. If you ignored the deeper meaning of the parables, you’d conclude that Jesus thought stealing from your boss was great. In fact, Jesus didn’t even come up with the story in the first place. Scholars have long identified the general outline (a beggar is rewarded after death, while a rich man is punished) as an Egyptian folktale that became popular with Jewish religious teachers like the Pharisees, to the point that early Jewish literature contains at least seven versions of it. In Luke’s account, Jesus only brings the story up after the Pharisees mock his original Parable of the Unjust Steward, thus using one of their own favorite stories to demonstrate their hypocrisy. With this context, it’s hard to see the parable as a serious account of the Christian afterlife. 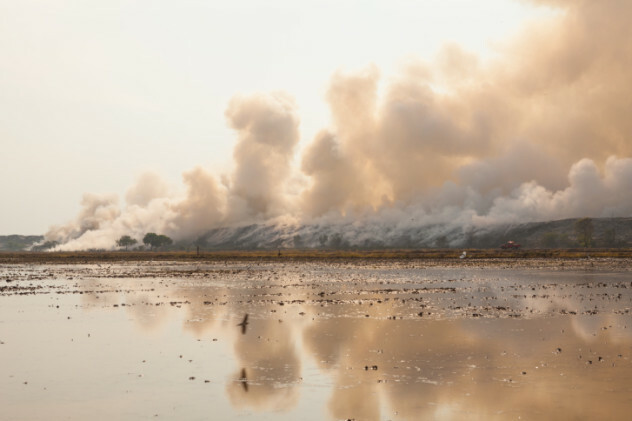 The Bible also contains a reference to eternal fiery torture in Revelation 20:10-15, which refers to a “lake of burning sulfur” where entities are “tormented day and night for ever and ever.” Of course, the entities involved apparently include “death” and “Hades,” which are not actual people able to experience actual suffering. In other words, this is symbolism. Just as these aren’t literal people, neither is the location they are assigned to. That leaves the Parable of the Sheep and the Goats, as found in the Book of Matthew. In the story, which hovers somewhere between a parable and a straightforward sermon, Jesus appears to speak of the Last Judgment, when sinners will be banished “into the eternal fire prepared for the devil and his angels.” This section of the sermon/parable is fairly direct and clearly not part of a fictional story like the Rich Man and Lazarus. The parable ends with an apparent reference to unending torment: “Then [the unrighteous] will go away to eternal punishment, but the righteous to eternal life.” For these reasons, the Sheep and the Goats is generally considered the key Bible passage behind the popular conception of Hell. However, many theologians argue that this interpretation of the Sheep and the Goats contradicts a number of other Bible verses, which explain the fate of the unrighteous at the Last Judgment as fiery destruction via “the second death.” If the unrighteous are destroyed, they can’t be tormented forever. Some Biblical scholars argue that, while the fire of punishment is described as eternal, that doesn’t mean the wicked will be punished there for all eternity. Rather, the punishment is total destruction in the holy fire, which has always existed. In other words, the eternal punishment (“aionios kolasis“) has lasted forever, but the punishment itself is simply immediate destruction. Jehovah’s Witnesses and other groups who not believe in Hell go even further, arguing that the word kolasis shouldn’t be translated as “punishment” at all. Citing its derivation from a Greek term for pruning trees, they suggest that it would better be rendered “cutting off,” “destruction,” or even “death.” The last interpretation would turn “aionios kolasis” into “eternal death,” making a nice contrast with the “eternal life” promised the righteous. The “pruning trees” meaning also invokes John 15:6: “If you do not remain in me, you are like a branch that is thrown away and withers; such branches are picked up, thrown into the fire and burned.” Kolasis only appears twice in the New Testament, but the Old Testament in Greek uses it to refer to punishment in general and to death as a form of punishment, suggesting that “eternal punishment” and “eternal death” are both valid translations. 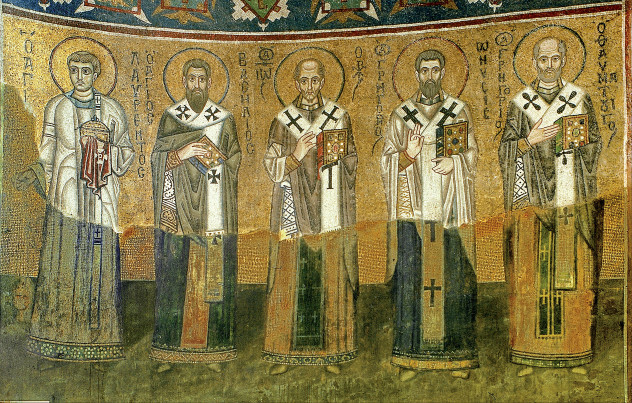 Since many hold the early church fathers as the authority on matters of faith and doctrine, many would find it surprising that even they couldn’t agree if Hell existed and, if so, what it actually was. Justin Martyr, Clement of Alexandria, Tertullian, and Cyprian were among those that held that Hell was a literal place of fiery torment. Origen and Gregory of Nyssa disagreed, countering that Hell was simply separation from God. While the idea of eternal fiery damnation can be found as early as the apocryphal second-century Apocalypse of Peter, it doesn’t seem to have become dominant in Christian thinking until around the fifth century AD. Ironically, this view was heavily inspired by a non-Christian, the Greek philosopher and mathematician Plato, whom the French historian Georges Minois credited with “the greatest influence on traditional views of Hell” of all the early philosophers. Plato’s Story of Er features an afterlife in which sinners are punished or rewarded in proportion to their misdeeds in life. 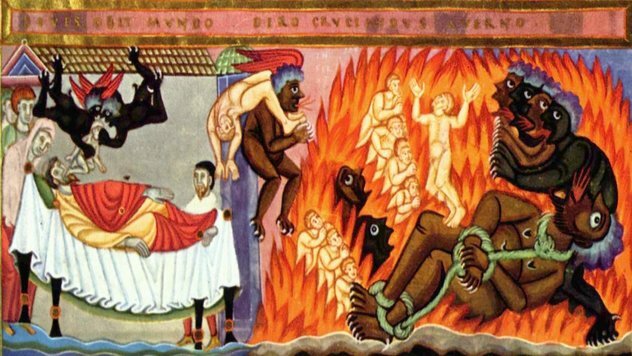 Whatever your views on Hell’s existence, Plato’s sin-specific punishments definitely have no Biblical support, but the philosopher’s ideas can still be detected in many popular versions of the Christian afterlife, most notably Dante’s Inferno. Plato might have had the greatest role, but non-Abrahamic influences on Hell date back a long way before the Greeks pioneered philosophy. 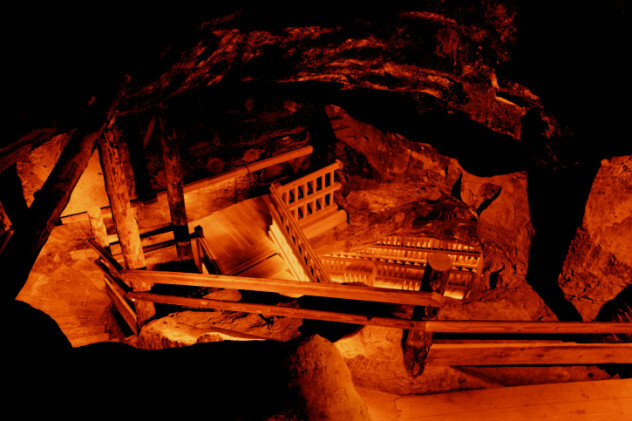 The Ancient Egyptian religion, for example, featured a cavern containing a “lake of fire” where the souls of the wicked were punished for their transgressions. The early Mesopotamians also believed that the underworld lay underground, although it was more dim and miserable than a place of eternal punishment. 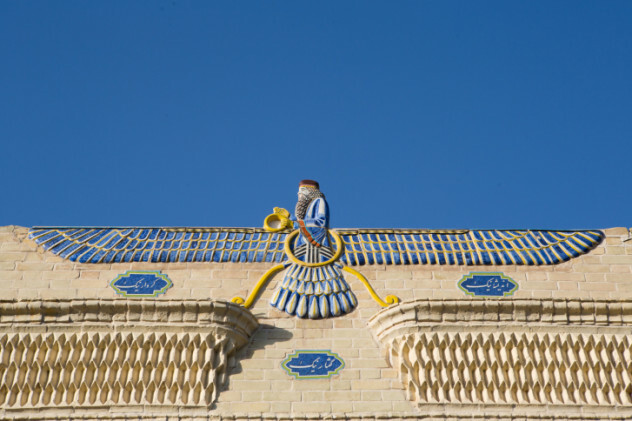 A particularly interesting comparison can be made between the popular idea of Hell and Zoroastrianism, an ancient religion originating in what is now Iran. In the earliest Zoroastrian texts, the souls of the sinful are judged after death and condemned to eternal punishment in the underworld, which the Book Of Arda Viraf describes as a pit full of fire, “smoke, stench and demons.” The souls are tortured according to the severity of their sins in life and the whole thing is presided over by Angra Mainyu, the great evil spirit, “who ever ridiculed and mocked the wicked in hell” for following him instead of their creator god. That sounds remarkably like the Hell of modern pop culture. And what’s just as remarkable is how many of those details have no basis in the Bible. Zoroastrian hell is staffed by demons and ruled by a devil figure, whereas the Christian Devil and his followers have no role in the afterlife and are the one group clearly stated to be destined for punishment in “Tartarus.” There’s certainly no reason to believe that a Christian hell would make the punishment fit the crime, whereas the demons of Zoroastrianism seem to delight in devising inventive tortures for each particular sin. In fact, the Book Of Arda Viraf is distinctly reminiscent of Dante’s Inferno. Even the thin evidence for Hell in the New Testament looks vast in comparison to the Old Testament, which clearly has no concept of Hell at all. Rather, scriptures like Job 3:11-18 suggest that death is simply a cessation: “Why did I not perish at birth, and die as I came from the womb . . . For now I would be lying down in peace; I would be asleep and at rest . . . There the wicked cease from turmoil, and there the weary are at rest.” Pretty self-explanatory. Even at the very start of the Bible, in Genesis 2:16-17 and 3:19, Adam and Eve’s punishment for breaking God’s instructions and eating the forbidden fruit was not the threat of hellfire, but rather a promise that they will eventually die, “for dust you are and to dust you will return.” If Adam and Eve were at risk of being tormented forever, wouldn’t they have been warned of that? Would God lie and tell them they were going back to the dust if his plan was really to lock them in a furnace? When Cain kills Abel, God sentences him to wander the land and even gives him a mark to stop people from killing him. If judgment awaits in the afterlife, surely that was a bit counterproductive? 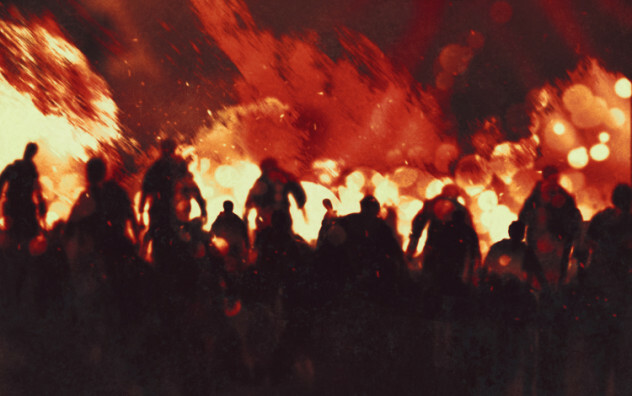 While religions like the Jehovah’s Witnesses and Seventh-day Adventists do not teach the doctrine of Hell, many churches and denominations still cling to the idea. But why? Like all scare tactics, the idea of hellfire can exert a powerful grip on believers. However, the Biblical evidence for the horrifying doctrine is rather lacking. In fact, the Parable of the Rich Man and Lazarus, often cited as Biblical proof of the doctrine of Hell, actually has the opposite message. At the end of the parable, Abraham declines to send Lazarus back to Earth to warn sinners of some terrifying fate awaiting them in the afterlife, arguing that righteousness can only come from belief, rather than fear of some supernatural punishment. My mission is to turn the sprinkler on hell.